With its climate and its high standard of living, Cyprus is one of the most sought after living destinations within the European Union. Furthermore, the country offers a secure business orientated financial environment, with high quality infrastructures and particularly preferential tax terms. All people who are not European citizens, wishing to live and work in Cyprus must obtain a residence permit corresponding to their situation. The two most common permits are E and F.
The E permit is a residential permit reserved for people who have obtained permanent employment in Cyprus, and not creating competition in the country. Foreigners working in an international company based in Cyprus mainly fall within this category. The majority of shareholders must be foreigners. Foreign equity must be at least € 171,000. It must operate from independent offices and not in a private residence or in another company. Foreign nationals must be employed in such a company as CEO, middle management, executive or on secondment. For senior and middle executives, the E permit is valid for two years and may be renewed without conditions. For employees on secondment, the permit is valid for a period of one year and may be renewed for a maximum of four years. Within the framework of acquiring an E permit, a permit for family reunification is also available. Anyone who can justify an income sufficient to live in Cyprus without working may apply for a residence permit. 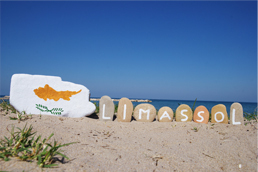 Since 23 August 2012, the Council of Ministers decided that a person with at least €30,000 plus €5,000 per person directly dependent on him can claim the F permit and be allowed to live permanently in Cyprus. Funds must be deposited in a bank account in Cyprus and must stay there for at least three years. Each member of a family can obtain this permit simultaneously. If the person fails to find a home in Cyprus in the year following getting the permit, if the person is not already in Cyprus. If the person acquires a residence abroad or is absent from Cyprus for a period of two years. Since 23 August 2012, to visit Cyprus at least once every two years is sufficient to maintain the validity of the license. The acquisition of a property of a value of €300,000 accelerates the process of obtaining a residence permit. For this, simply provide proof of payment of at least €200,000 of the total price of the property. Despite the effects of the global economic crisis, the real estate market is today, and since 2008, very favourable in Cyprus. Indeed, property prices have dropped considerably, ranking Cyprus among the most competitive countries in the European Union. Furthermore, there are many benefits, especially in terms of the high quality of life at a relatively low cost. With the accession of Cyprus to the EU, the right to acquire real estate property has been modified. According to the provisions of this law, EU citizens, corporate and legal entities, which were constituted in accordance with the legislation of a member state and have their headquarters or main business in a member state, can acquire real estate property without the approval of the Council of Ministers. They have unlimited rights to acquire property. Consequently, it is possible for a non-EU citizen to acquire property in Cyprus, and thus avoid all the other restrictions applicable to foreigners, through purchase by a Cypriot company (i.e. by the registration of a company in Cyprus and being the shareholder). In all other cases, all non-European-citizens, as well as corporate entities certified in a territory other than the EU, must request and obtain a permit from the Council of Ministers to register real estate properties in their name in Cyprus. To facilitate your installation in Cyprus, SFM offers to take care of all the procedures relating to your residence permit or purchase of your real estate property. To do this, you provide all the necessary documents and we take care of paperwork, oversee the procedures and remain in constant contact with local authorities until the desired permit is acquired. In the case of a real estate purchase, to the extent that you provide us with a proxy, SFM handles all the purchasing process, from drafting the contract of sale to handover of the keys. Works or will work in Cyprus E The Customer provides all necessary documents to SFM. SFM handles the entire process until permit is obtained. Wants to live in Cyprus without working there F SFM handles all the paperwork as well as opening a bank account in a bank in Cyprus and advises the customer to pay the required amount. Wants to buy a property in Cyprus and live there permanently F SFM handles all formalities related to the purchase of the property and initiates the procedure for obtaining a residence permit F.
SFM takes care of obtaining the permission of the Council of Ministers of Cyprus for the purchase of real estate on behalf of a non-European citizen. Then SFM deals with procedures for the purchase of the property and getting a permit F.